Many settings, such as the bezel setting, will cover the diamond in order to keep it safe, however this also prevents light from reaching the stone and letting it shine to its full potential. This means a gorgeous diamond that isn’t sparkling as much as you deserve. On a swirl style solitaire engagement ring, the prong setting and metal band gently wrap around either side, curving around the center stone in a protective embrace, rather than engulfing it. The result? Your diamond soaks in all the light it can, and the sparkle is incomparable. Plenty of modern brides are somewhere in between traditional and contemporary, as far as styling preferences go. 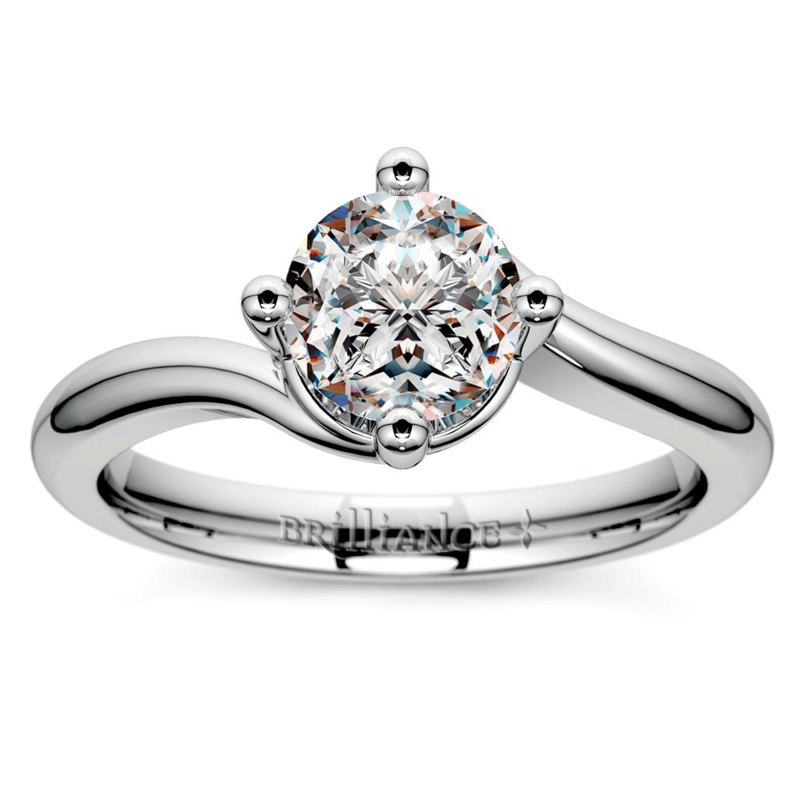 The swirl style solitaire engagement ring is truly a ring for any bride-to-be. It has traditional elements in the solitaire setting and round-cut center diamond, and contemporary elements in the cutting-edge band design. If you want to go extra traditional, choose the ring in a yellow gold band. If contemporary is more your style, then rose gold or white gold make excellent choices. 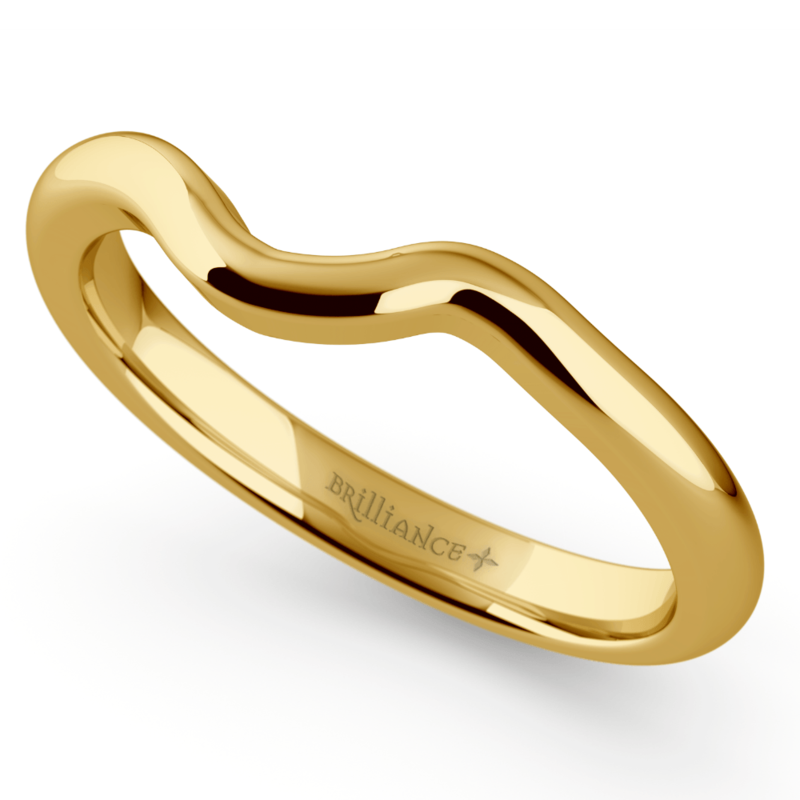 This ring is even available in non-gold metal choices, such as platinum and palladium engagement rings, for wearers who need their ring to withstand the wear and tear of a busy life. When you choose a swirl style engagement ring from Brilliance.com, you can choose a model that comes with Comfort-Fit technology. Rings with this revolutionary design fit your finger naturally, so you don’t find yourself aching to take off your ring at the end of a long day. You can wear this symbol of your love every day, just as it was intended. Did you know that you can get a swirl style wedding band that matches the engagement ring? That’s right, you can have a matching set that stacks perfectly! The problem with alternative engagement ring shapes is that the ring often looks awkward stacked against your wedding band, because they don’t conform to each other’s shape. This can also cause discomfort from both rings rubbing unnaturally on your finger. Pairing the swirl style engagement ring and wedding band together completely eliminates this issue, so you look stylish and feel comfortable all day long. Want to go even further? Stack the engagement ring between two swirl style wedding rings for a perfectly-flanked past, present, and future set, beautiful in its simplicity and its meaning alike. If you like this contemporary swirl style solitaire ring, then chances are you’ll love the entire Brilliance collection. Take a look at our engagement ring collection to find the ring that’s perfect for you and your beloved.